Yeti – Has No Great Intelligence, not like the boss! The Yeti – although animalistic in appearance, masked a robotic internal skeletal mechanism, which was controlled by a detachable small glowing sphere. The Yeti’s weren’t intelligent themselves – in the sense of reasoning abilities, they were capable of simple tasks and their reasoning skills were basic at best. Their strengths came from their frightening appearance, almost indestructible shell and their brute strength. The internal control sphere, was itself controlled by a separate entity called the ‘Great Intelligence’. Little is known of the Great Intelligence – other than it was some kind of disembodied collective from another dimension – with designs on subjugating Earth. The Yeti’s were pretty much indestructible, repelling bullets and explosives and only sign of weakness was their control sphere, if it could be separated from the Yeti’s frame, the Yeti would then – deactivate. It could also be reprogrammed to take control of the Yeti – once reinserted. The Second Doctor first meets the Yeti in The Abominable Snowmen – 1967 when he travels to 1930’s Tibet. The Yeti have been harrassing an explorer called Travers and the local monks in the Monastery – for years. At first, they accuse the Doctor of the attacks (as he is dressed in his fur coat) but soon come to realise the truth. Finally, it becomes apparent the robotic Yeti’s are being controlled by the leader of the Monastry, who in turn is being controlled by the Great Intelligence. The Doctor is able to stop the Great Intelligence’s influence, by destroying the equipment which controls the Yeti’s sphere’s. Their next appearance was The Web of Fear – 1968, which also featured a first appearance of Colonel Lethbridge Stewart. The Great Intelligence and their Yeti servants were back – in 1960’s London. This time due to an older professor Travers, meddling with Yeti control spheres. The Yeti’s were spreading a sticky web like fungus around London Underground, which the Great Intelligence were using to try to wipe out the human race. The Doctor this time thwarted the Great Intelligence by reprogramming one of the Yeti’s under his own control and used it to smash the relay, the Great Intelligence was using to manifest itself on Earth. 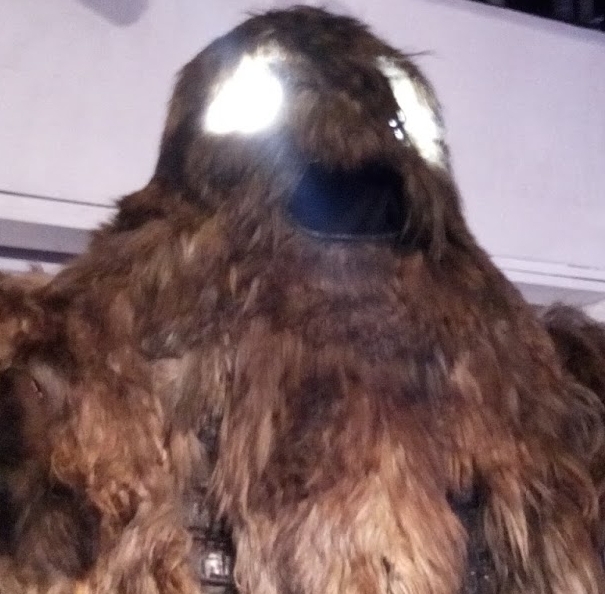 A lone Yeti next made a final appearance in The Five Doctor’s – 1983 chasing the Second Doctor and Lethbridge Stewart through the Deadzone in the Games Of Rassilon. The Doctor held up in a cave, managed to scare the Yeti away with a small explosive device he refers to as a “cherry bomb”. The Yeti’s haven’t made a reappearance, yet. But the Great Intelligence had a pivotal role, in the most recent 50th Anniversary series of Matt Smith’s Doctor Who.